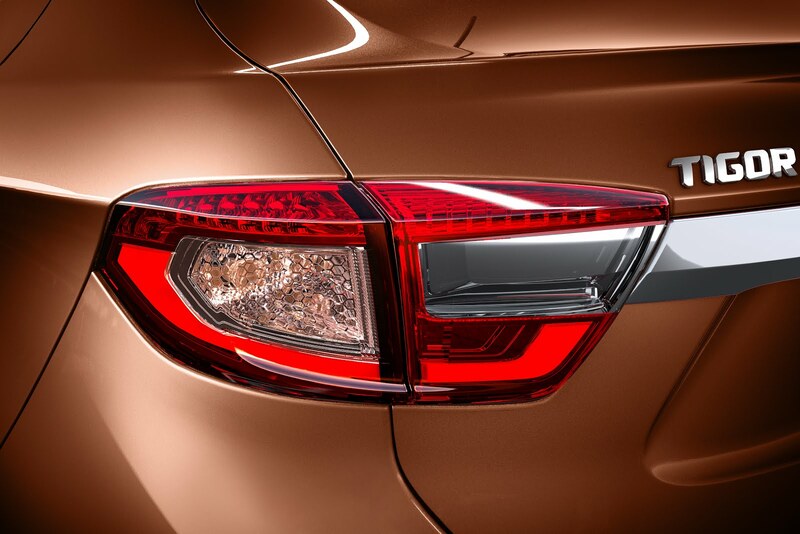 Home / #Styleback / #TIGOR / compact sedan / launch / new / Tata Motors / Tata TIGOR - the Styleback is here !! 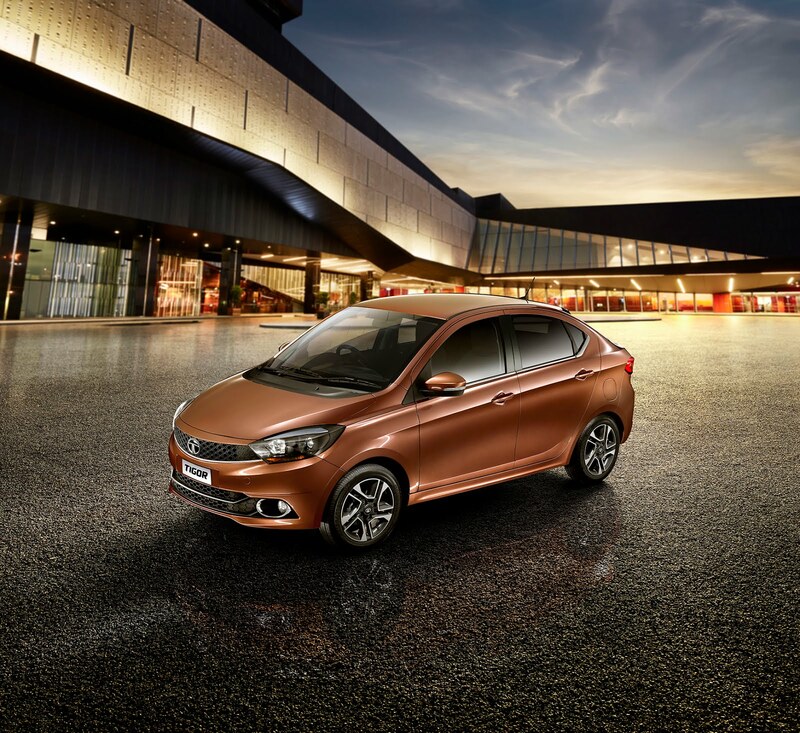 Tata TIGOR - the Styleback is here !! Mumbai: Tata Motors today announced the commercial launch of its new 'StyleBack', Tata TIGOR, meant for the young and fast-paced generation. With its stunning, break-free and revolutionary design, the Tata TIGOR is set to build on Tata Motors' existing passenger vehicle portfolio and address needs of the ever evolving customer. At a starting price of INR 4.7 lakhs ex-showroom, Delhi & INR 4.95 lakhs ex-showroom Mumbai, for the Revotron 1.2L (petrol) variant and INR 5.6 Lakhs, for the Revotroq 1.05L (diesel) variant, ex-showroom Delhi & INR 5.91 Lakhs ex-showroom Mumbai, the TIGOR will be available across the country. In just two months of the HEXA launch, Tata Motors is launching yet another innovation and an exciting offering in a new segment. The Company has trained around 6000 sales consultants to cater its new generation products like Tiago, Hexa and now the TIGOR, across 650 sales outlets and more than 500 service touch points. Tata Motors plans to add sales touch points in FY 17-18. Unveiling the Tata TIGOR, Mr. Guenter Butschek, CEO & MD, Tata Motors, said, "With our passion to shape the mobility of tomorrow, we have constantly pushed the boundaries of automotive engineering by creating new category vehicles. This pursuit of something different led us to what we call 'STYLEBACK' - as our re-definition of the compact sedan category. The TIGOR is not just a new product; it is a true reflection of our legacy of creating something unexpected, setting new trends. It expresses a youthful mixture of design, style and attitude. It is designed to offer high performance and connects modern India and its global citizens. Today with the launch of TIGOR, we expand our product portfolio, invite new customers and reinforce our spirited comeback in the passenger vehicle market." With a renewed focus on design, Tata Motors is recapturing the consumer mind space, which is helping the company to strengthen its brand proposition. 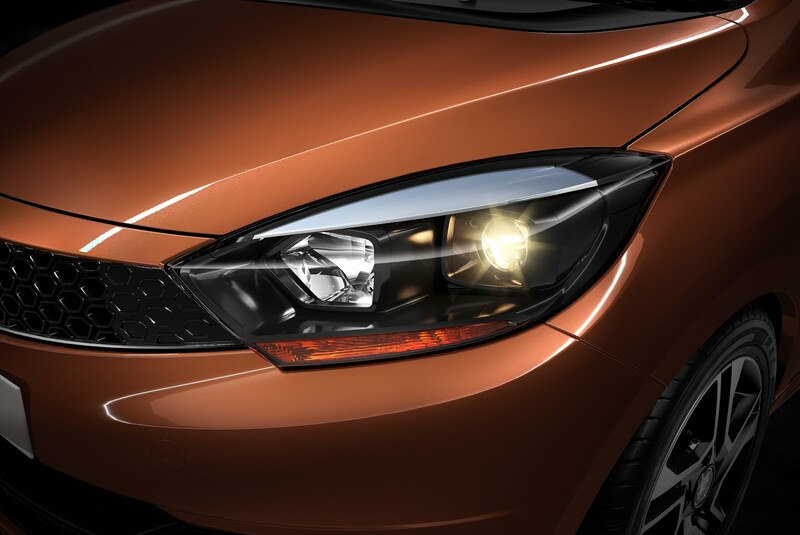 Creating an immediate and lasting impact, Tata Motors has worked intricately on the styling of the TIGOR, the 3rd vehicle based on the IMPACT Design philosophy. 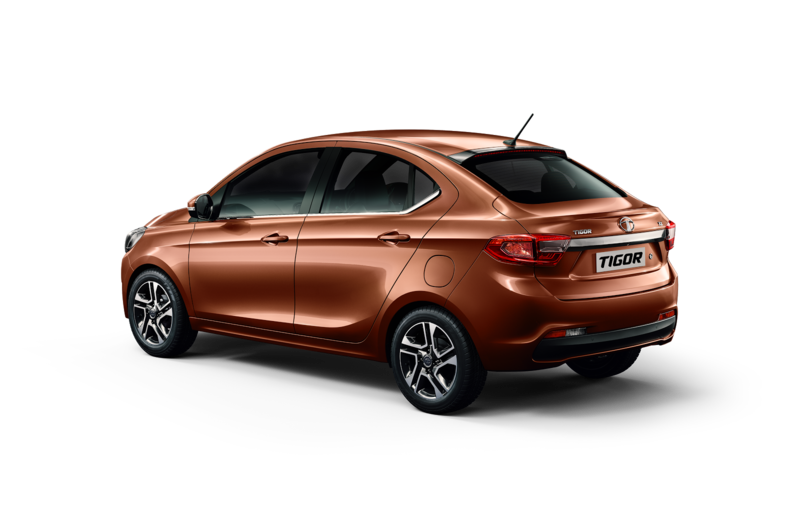 Tata Motors says that "the TIGOR is smartly designed on the outside with 'Expressive' , 'Exciting', and 'Extraordinary' exterior features. Its lively and dynamic stance exudes the feeling of youthfulness. 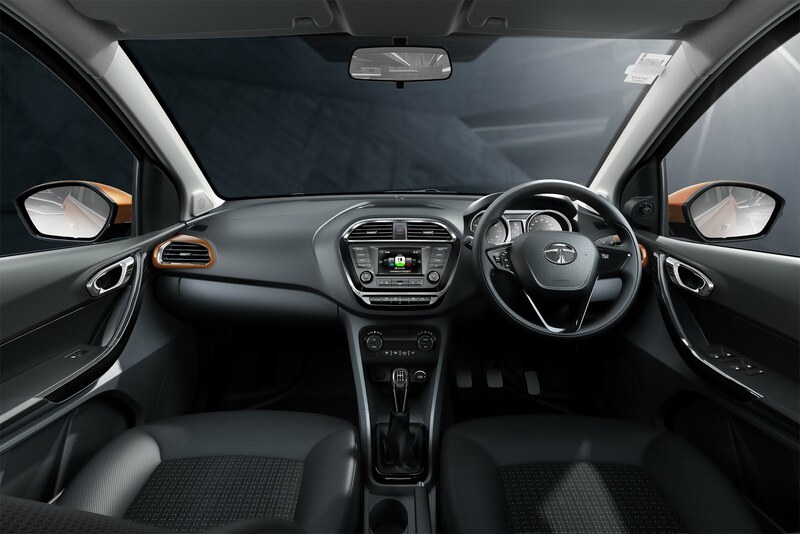 On the inside, the TIGOR makes 'INtelligent' use of space and has 'INviting' interiors and connectivity features that will make owners feel 'INtouch' with the world inside and outside." 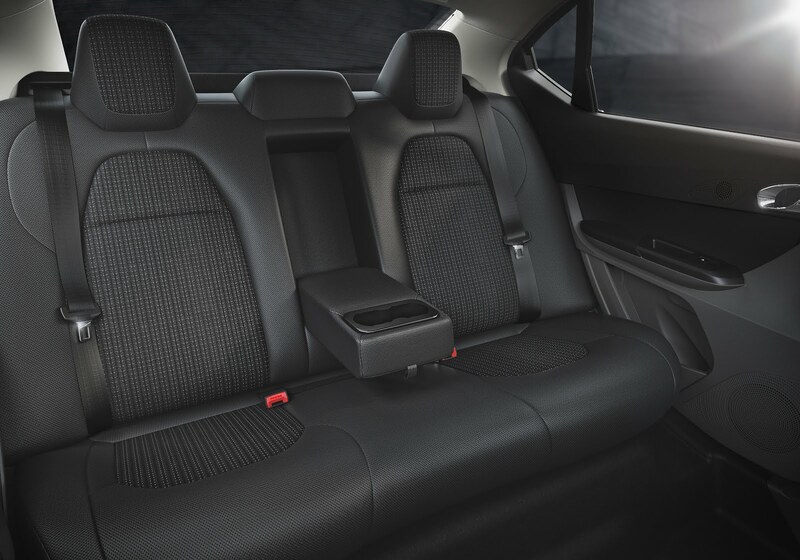 Tata Motors have focused on intelligent engineering by giving superior legroom and 24 utility spaces thus providing ample storage. The TIGOR will be available in both petrol and diesel variants - Revotron 1.2L (petrol engine) and Revotorq 1.05L (diesel engine). Both engines are available with multi-drive modes - Eco and City. The company has also focused on constantly evolving needs of customers through enhanced connectivity and infotainment experience. They have worked closely with HARMAN to design and engineer an acoustic audio and infotainment system, certified by the globally renowned Golden Ears and tuned by seasoned Harman audio experts. The TIGOR also comes equipped with a comprehensive app suite with dedicated apps for Navigation - NaviMaps sharing music on-the-go, Juke Car App as well as a smart Bluetooth based remote - Tata Smart Remote . The Tata Emergency Assist app adds to the safety by sharing the co-ordinates of the vehicle and informing the emergency contacts saved in the system in case of a collision. These apps add to the connectivity experience and engagement between TIGOR and its occupant's device. These apps are available currently for the Android platform only. Available in 8 variants (with 2 optional variants) XE 1.2 P , XT 1.2 P, XZ 1.2 P , XZ (O) 1.2 P, XE 1.05 D, XT 1.05 D, XZ 1.05 D and XZ (O) 1.05 D, the TIGOR will come in six exciting colour options - Copper Dazzle, Espresso Brown, Pearlescent White, Platinum Silver, Striker Blue and Berry Red. TIGOR will come with a standard warranty of 2 years or 75,000 kms, whichever is earlier, with an option to further extend. Tata Motors has built a strong pipeline of new products, which come with the IMPACT design language and leading technologies to make the new product line-up an exciting proposition.